We’ve got sad news. The old, traditional Employee of the Month plaque is a thing of the past. For decades, bosses and managers have been trying to get employee recognition and motivation right. The amount of content on the web around disrupting HR and the Future of Work, attests to the fact that what motivates employees is constantly shifting with the times. 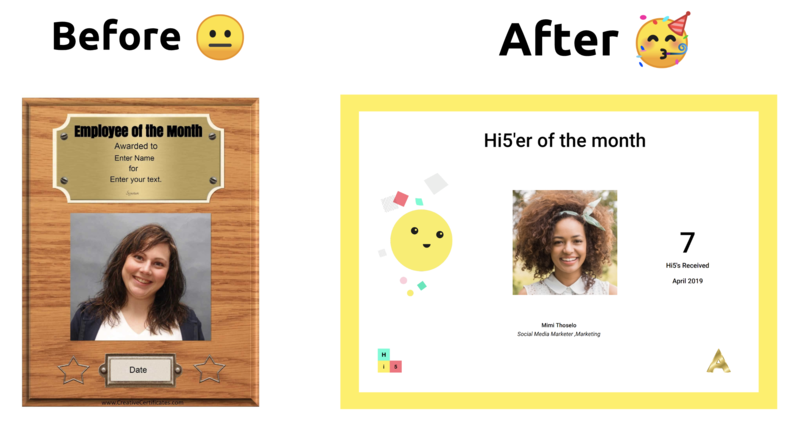 One of the ways we’ve tried to make employee recognition simpler and more fun, is with one of our latest features: the Hi5'er of the month poster. Yeah, for years high achievers have received old school wooden or plastic plaques, or cheesy framed posters, in acknowledgement of their efforts. We’ve turned things around → First, public recognition on their company’s Hi5 Wall of Fame, then recognition from the manager through Hi5 Crowning. After, the Hi5'er of the Month poster is the cherry on the chocolate fudge sundae. 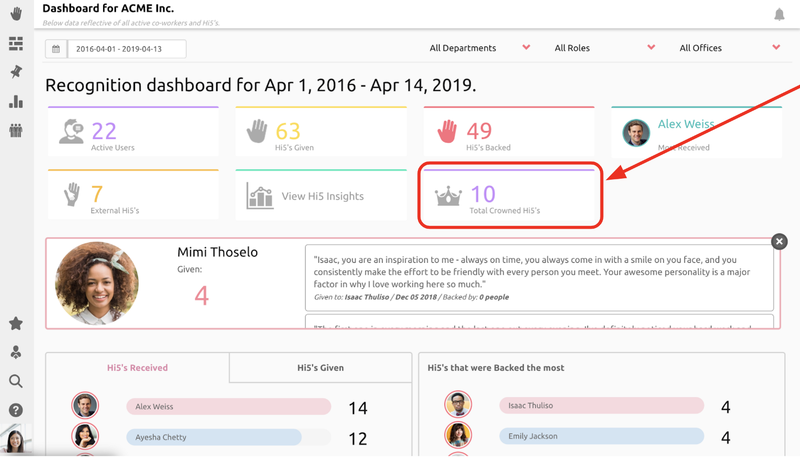 Go to your Recognition Dashboard, filter by time period & click on the Total Crowned Hi5’s button. 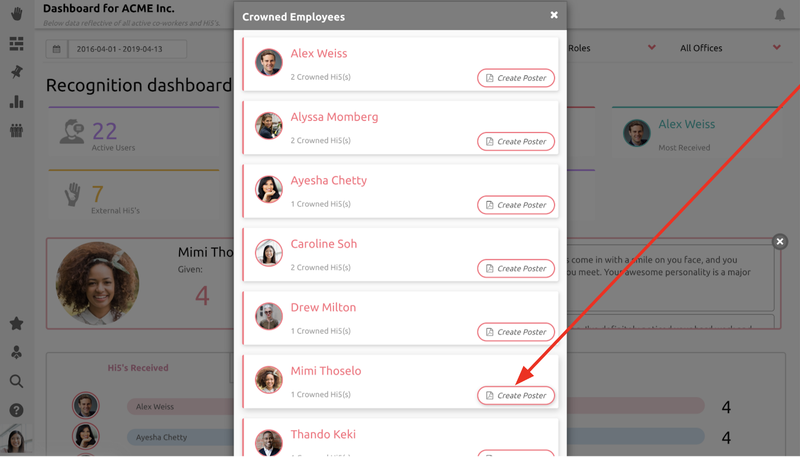 Scroll through the Crowned Employees list and click Create Poster. ​This will generate a sleek poster that you can print and put up in your office. Better yet, save a tree 🌲 and rather email it 📧 to the rest of your co-workers!